Wade “Pedro” Spencer, 41, a resident of Davenport, died Friday, January 25, 2019 at his home. A memorial gathering will be held from 4:00 p.m. – 7:00 p.m. Friday, February 1, 2019 in the All Faith Chapel at Halligan McCabe DeVries Funeral Home in Davenport. Memorials may be made to the family. Wade was born March 20, 1977 in Davenport, the son of Larry and Nan Ellen (Poole) Spencer. On May 10, 1997 in Pomona, California, he married Athena Davis. 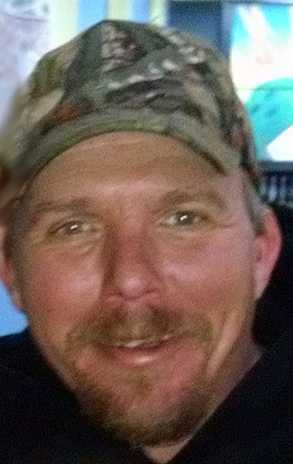 Wade worked as a mechanic for Dale’s Automotive Center in Davenport. He enjoyed fishing, hunting, and drinking every day. His favorite expression was “Think outside the box.” He enjoyed working on cars, helping friends in need. Wade cherished his time spent with family and friends. Those left to honor his memory include his wife, Athena; sons, Matthew John and Ryan Sheldon Spencer; mother and step-father, Nan Ellen and Raymond Borunda; grandmother, Shirley Poole of Davenport; brothers, Philip Spencer of North Carolina and Andrew Spencer of Rock Island; and sister, Samara Utley of Davenport. Wade was preceded in death by his father, paternal grandparents, and maternal grandfather. Online condolences may be made to Wade’s family by viewing his obituary at www.hmdfuneralhome.com.